Tinhorn Creek Vineyards has always been a leader in the BC wine industry, and embracing the age of social media has proven no different. The Tinhorn team are avid tweeters, Facebook followers and are very LinkedIn. So, to meet and engage fellow social media types, Winemaker and CEO Sandra Oldfield and Tinhorn staff will host Wine Tasting with a Social Twist on Wed. May 16 at Vancouver Urban Winery. Guests will enjoy an evening of wine, food and plenty of Twitter activity. The event is structured as brown bag tasting meets speed dating, with a fast paced tasting of nine different Tinhorn Creek wines, followed by light canapés and a guided unveiling of wines by Sandra Oldfield. The event celebrates the age of social media, and reflects the fast paced times we live in while making wine tasting fun. Once guests move through each table of brown bag tastings, Winemaker Sandra Oldfield will guide tasters through the nuances of each varietal, with the chance to win many great prizes. Chef Jeff Van Geest from Miradoro Restaurant at Tinhorn Creek Vineyards is partnering with Vancouver’s longest-standing French restaurant Le Gavroche to create some delicious canapés to pair with the wines.Between delectable bites and sips of incredible wines, guests will have the chance to meet the people behind the Tinhorn Twitter handles: @SandraOldfield, Winemaker & CEO; @Andrew_Tinhorn, Vineyard Manager Andrew Moon; @KorolKuklo Assistant Winemaker; @linzyw, Marketing Coordinator Lindsey White; @mbuschleague, Sales Manager Mark Butschler; and @winegirljules, Sales & Marketing Manager Julie Copland-Stene. Wine Tasting with a Social Twist takes place Wednesday, May 16 from 6-9pm at Vancouver Urban Winery, located at 55 Dunlevy Avenue in downtown Vancouver. Tickets are $30, and available online at http://store.tinhorn.com. Established in 1993, Tinhorn Creek Vineyards is located just south of Oliver B.C., in the famed Golden Mile wine-growing district. As the number one winery destination evoking classic south Okanagan terroir, Tinhorn Creek proudly offers 100% estate grown wines, growing grapes on both the Black Sage and Golden Mile benches. As the first winery in Canada to support carbon neutral measures, Tinhorn Creek continues their commitment to land stewardship, conservation and environmentally sustainable practices. Family owned and operated, Tinhorn Creek offers an unrivalled visitor experience including a self-guided tour, along with wines that rank among the best in the world, and since April 2011, the exceptional Miradoro Restaurant. 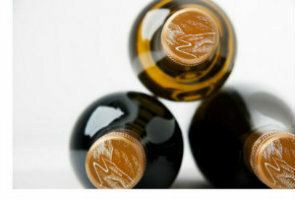 For more information about Tinhorn Creek Vineyards, call 1.888.484.6467 or visit the website at www.tinhorn.com.